Are Apple Stock Investments A Wise Decision For Beginner Investors? Many investors want to know how to buy Apple stock. The celebrated tech giant, Apple Inc first went public on December 12, 1980. During its initial public offering, each Apple share was priced at $22. However, Apple stock has been split four times since then. Considering the splits, the IPO share price comes down to just $0.39. On the other hand, Apple has made tremendous progress in the last three decades, earning in billions in revenue and higher stock prices. Undoubtedly, many investors are interested in purchasing Apple stock. In this post, you will find necessary information on how to buy Apple stock and if investing would be profitable. Before learning how to buy Apple Stock, we would like to take look at Apple Inc’s journey so far as a company. Based in Cupertino, California, Apple Inc designs, manufactures and markets consumer electronic goods. These products include electronics like mobiles, computers, media devices and portable digital music players. Founded in 1977, Apple Inc has considerably diversified its product and services portfolio. At the same time, they have maintained the uniqueness of their flagship products, the iPhone and iPad and demonstrated excellent resource management. Apart from top of the line electronic products, Apple Inc sells software, networking solutions, services and accessories. In addition, they sell third party digital content and apps through virtual marketplaces like the iTunes Store, App Store, iBook Store, MAC App Store and Apple Music. Naturally, the sales volume of these electronic and digital products affect Apple Inc’s share price. Are You Planning To Invest In Apple Stock? Before finding out how to buy Apple stock, make sure that you want to invest in Apple rather than Intuit stock which another popular tech company. By investing in Apple stocks, you will become one of the co-owners of Apple Inc. Moreover, you will get cash dividends per share at the completion of each financial quarter. This means that investing in Apple stock can be profitable if the company continues to grow and succeeds in its upcoming ventures. Until last year, the price of Apple shares ranged between $500 to $700 on an average. After the last Apple stock split on June 2014, the average apple share price was $106. As of December 2015, each Apple share was priced at $107.33 USD. Though the lower per share price has made investing in Apple stock easier, the volatile nature of Apple share price raises a few concerns. Individual investors, who want quick return on stock market investments, may find investing in Apple stock disappointing. More importantly, if you have limited funds in hand, investing in Apple can be risky because it can take months before selling Apple shares gets you any profit, regardless of whether you invest Russia capital or American dollars. Before proceeding with the steps involved in how to buy Apple stock, you have to first open an online discount broker account. Some reputable online broker options are TradeKing, Scottrade, TD Ameritrade, Merrill Edge, Charles Schwab and Fidelity. Once you have selected an online broker, you have to provide relevant personal information to open an online discount broker account. Finally, transfer money to your new online broker account, making your account ready to buy stock. Once your online discount broker account is ready, you can easily buy any stock listed by NASDAQ or New York Stock Exchange (NYSE). Forex trading, however, will not be an option. If you are still wondering how to buy Apple stock, start by checking the current price of Apple share. Next, determine the number of Apple shares you will be purchasing. The total amount you will invest is the price of one Apple share multiplied by the number of Apple shares you are buying. Additionally, the online brokers will charge a fee both at the time of buying and selling the Apple shares. Calculating this cost will help you in making profitable transactions. 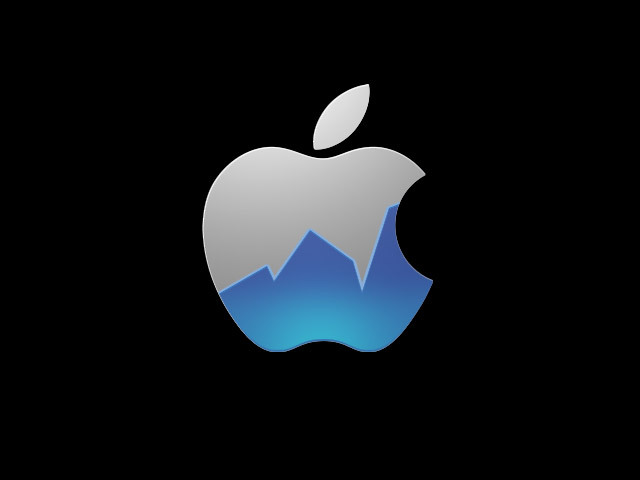 If you are looking to buy Apple shares, you do not need to go get business analyst training, but you should definitely familiarize yourself with the tech company’s recent market performance. As of December 2016, Apple has been on a strong uptrend. This means excellent news for potential investors looking ahead to 2017. The company experienced a $7 increase per share in November, and market analysts expect that number to keep increasing in the foreseeable future. These recent developments with Apple stock indicate that now is the time to buy for potential investors. The final question comes down to – should you buy AAPL stock from online stock brokers? This, of course, depends on your own investment goals and portfolio diversification. However, you may want to wait a bit. Apple stocks have rallied a bit in recent months. They could be due for a pause or a pullback in the growth. This means you should exercise caution in investing. You may want to wait it out a bit to see if prices drop a bit below $156. Remember to always exercise caution when investing in tech stocks. You can easily learn how to buy Apple stock by creating a brokerage account and placing a purchase order. However, as the Apple stock prices change, you should keep an eye on the factors that affect Apple’s stock prices. You may not have to worry about business fraud being a possibility, like other lesser-known business. However, you should always be cautious when investing your hard earned money.